Due to unforeseen circumstances, this exhibitions has been cancelled. 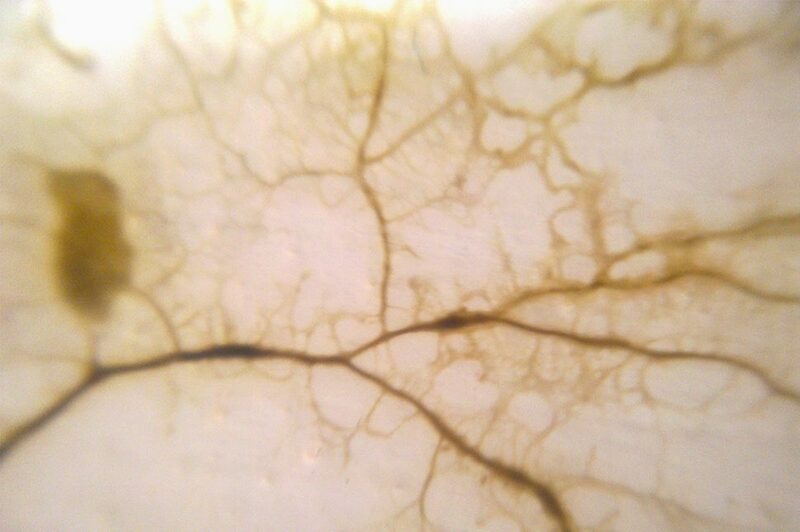 Slime mould, like the city, is an emergent system. 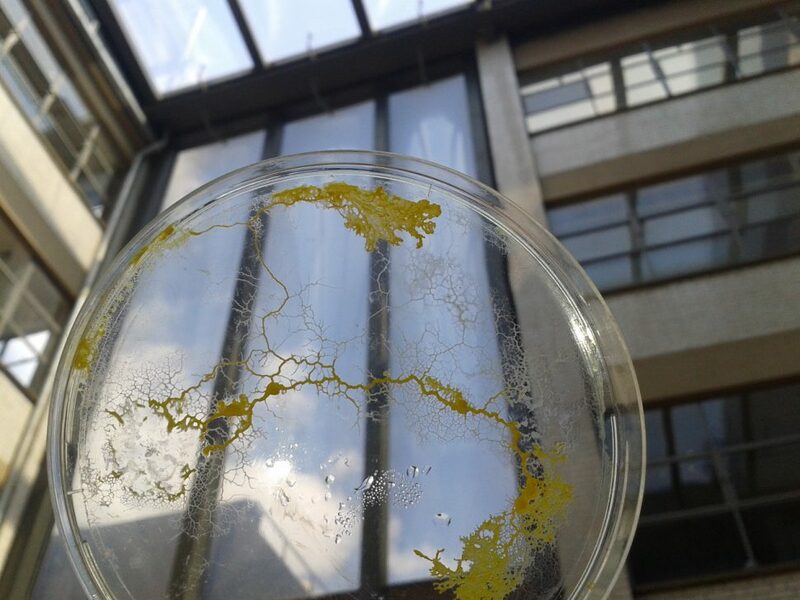 What possibilities are there for urban design, public realm consultation, and creative engagement through an interdisciplinary ecological art and design ‘collaboration’ with a single celled organism, the slime mould Physarum polycephalum. In 2010 the slime mould, Physarum polycephalum, successfully replicated the Tokyo rail system (Nakagaki 2010). Possessing no brain or central nervous system, this single-celled organism has been proved to solve mazes, anticipate events and perform high levels of computation. An exhibition analysing connections within the city, and the current approach to ‘designing’ connections within the city. Can we brake away from the grid-system? Can slime mould offer an alternative, as a metaphor, or tool, for designing our cities? How can urban spaces better integrated with natural systems? 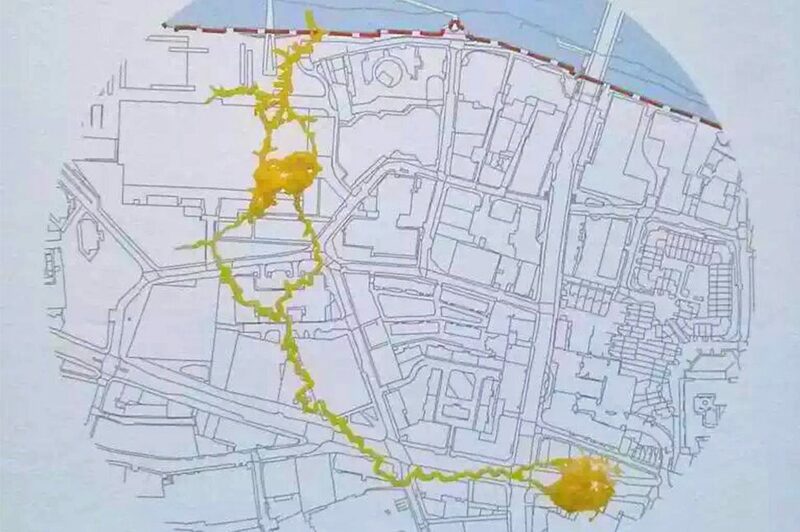 The potential of using slime moulds in the planning and designing of urban areas is endless. It can be used to engage communities, test design approaches, or purely as a design tool. It connects the most efficient network between ‘nodes’, these can be either in relation to infrastructure projects, visual sight-lines, or walking routes, as-well as many other connections depending on the scale and aims of the design project. 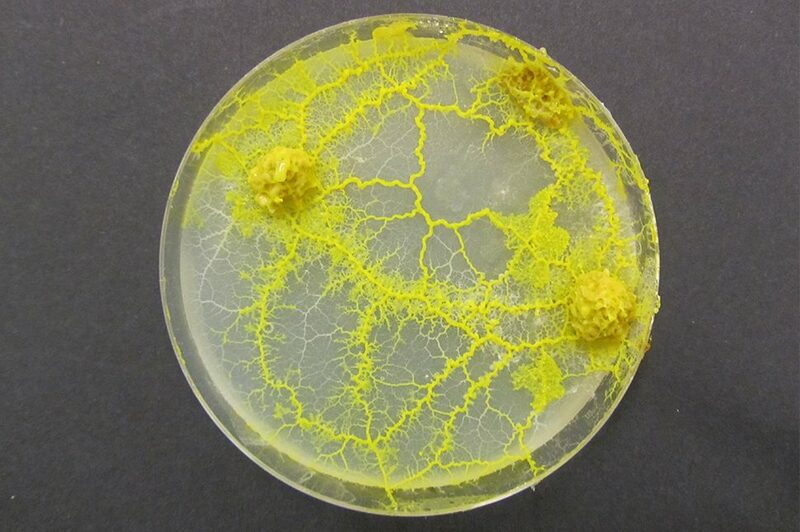 The use of slime mould enables nature and ecology to come to the fore front of the discussion. Nature and ecology like the city is a complex beast, it doesn’t colour within the lines. 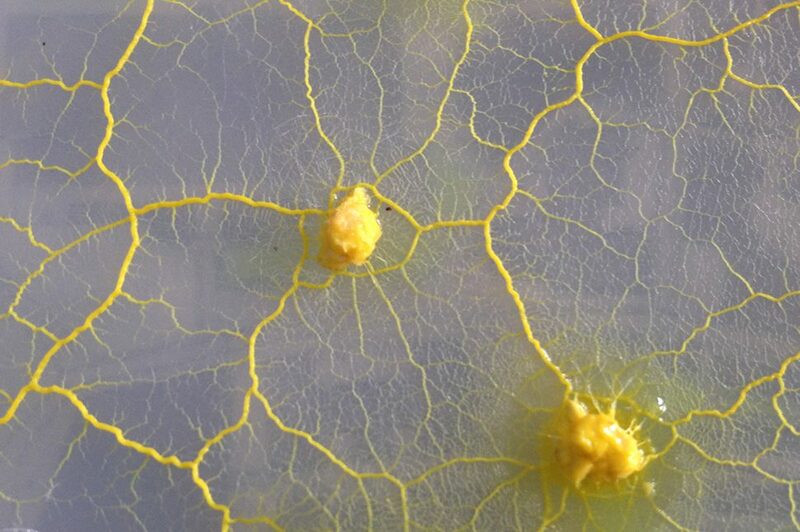 Using slime mould to highlight connections between green-spaces, helps highlight additional connections that, in today’s climate need to be considered. Even when sometimes, these may not necessarily relate directly to humans, or a human scale. Its inherent mapping skills, provides a perfect model and metaphor for social cohesion and collective action, as all parts of the cell work together in response to its environment. With no centralised control mechanism, slime mould behaviour resembles how the character of a city evolves over time, as urban areas ebb and flow in response to local community, economic and cultural activity. The possibility to engage with communities in design is one of its greatest assets, visually engaging and intriguing it provides an opportunity for vital feedback, and the slime mould itself can lead to intriguing results and points of design interest. Its inherent efficiency in mapping skills has opportunities that can be applied in both 2D (maps/drawings) and 3D (models) applications, looking at both the built form and the negative space between.